Read about the intimate, private stories of everyone behind the scenes of this most publicized child custody fight in history. Read about how Danny and his beleaguered, loving parents struggled to live a normal life—and triumphed—but in unexpected ways. 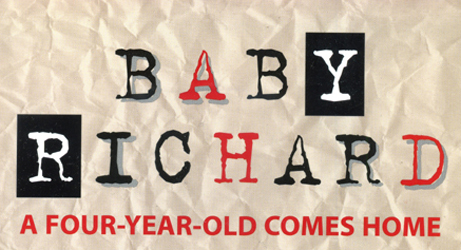 When 'Baby Richard' erupted onto TV screens and headlines around the world, it became a gut-wrenching epic. The little boy was wrenched from the arms of his adoptive mother and handed over to his biological father, whom he had met only one hour before. This telecast scene was the dramatic climax to four years of unprecedented court battles and media frenzy. Even the Illinois State legislature got into the act by hastily passing 'The Baby Richard Act'-in emergency session-in an attempt to prevent his father from claiming him. Read about how the public reacted with shock and indignation; how hate mail and death threats affected the child and his new family. Danny ('Baby Richard') became an icon, a curiosity, and a pathetic victim... all at the age of four. 'Experts'... none of whom even met him... pronounced him 'doomed', 'scarred for life', and 'irreparably damaged'. Read about how 'Baby Richard sightings' threatened the little boy and his parents; how politicians and celebrities across the country leaped into the controversy..., yet did nothing for the real-life child; how the author, Dr. Karen Moriarty, went from therapist to advocate to 'family', resulting in attacks against her and defamation. 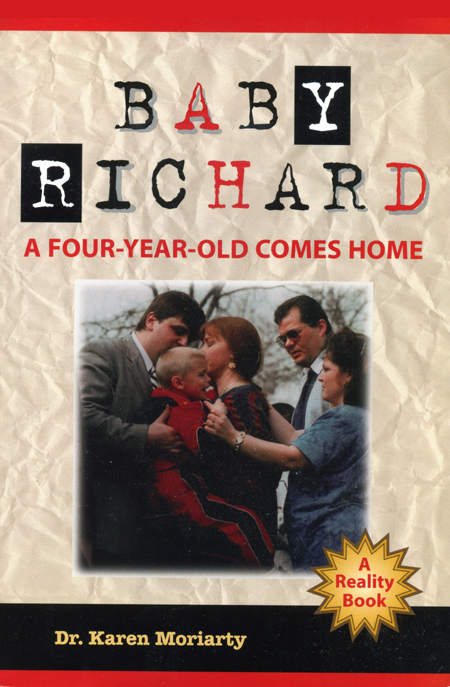 In Canada, Australia, and countries across Europe, Baby Richard became an 'American tragedy'. His father's story was told in other countries but not in the United States! He became a favorite hate figure; no one would hire him for a job; and no one wanted even to hear his side of the fight for his baby. Read about how betrayal, lies, and an extortion attempt led to the adoption fiasco; how his birth mother--whose story has never been revealed--struggled to get her baby back. Insatiable media, at fever pitch, captured every twist and turn of the saga for front-page fare and lead stories on TV programs across the country. Bob Greene... best-selling author and Chicago Tribune columnist, syndicated in nearly 200 newspapers... grabbed onto the story and wouldn't let go. Read about how Greene wrote more than 100 columns about 'Richard' without ever speaking to his birth parents or the child... fabrications presented as real; how Greene, 'the voice of voiceless children', was unmasked by a young woman with whom he admitted to 'sexual misconduct' when she was just a teenager; how this woman got Greene fired; and what she has to say about the painful scandal... in an exclusive interview. Danny tells his own story for the first time. What is his life like? How does he feel about being 'Baby Richard'? Read about the intimate, private stories of everyone behind the scenes of this most publicized child custody fight in history; how the conflict escalated everywhere and turned the three branches of Illinois government against each other; how the major participants were felled by the 'Baby Richard Curse'. Read about how Danny and his beleaguered, loving parents struggled to live a normal life... and triumphed... but in unexpected ways.